Very Good. 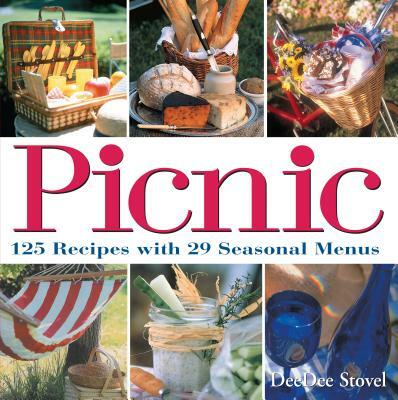 Picnic: 28 Seasonal Menus with 125 Recipes by Stovel, Dee Dee, 2001-12-13. Trade paperback (US). Glued binding. 183 p. Contains: Illustrations. Good. Picnic: 28 Seasonal Menus with 125 Recipes by Stovel, Dee Dee, 2001-12-13. Trade paperback (US). Glued binding. 183 p. Contains: Illustrations. Very good with no marks, damages, or labels. Thanks for your business! Your satisfaction is guaranteed!